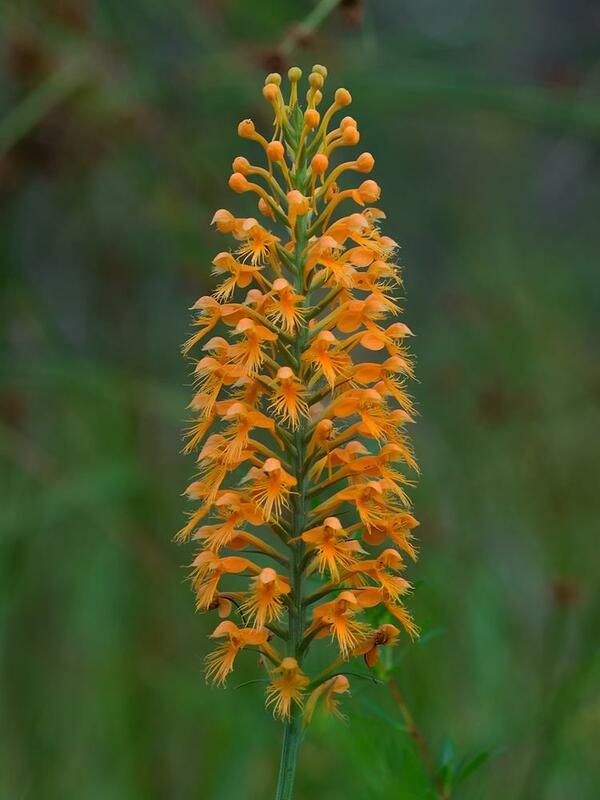 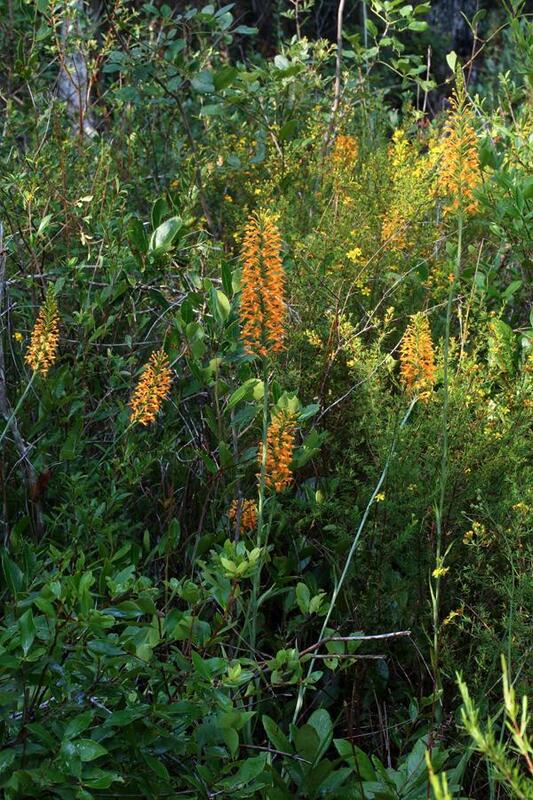 Platanthera chapmanii, commonly known as Chapman’s Fringed Orchid, is widely scattered in northern Florida, Georgia and eastern Texas. 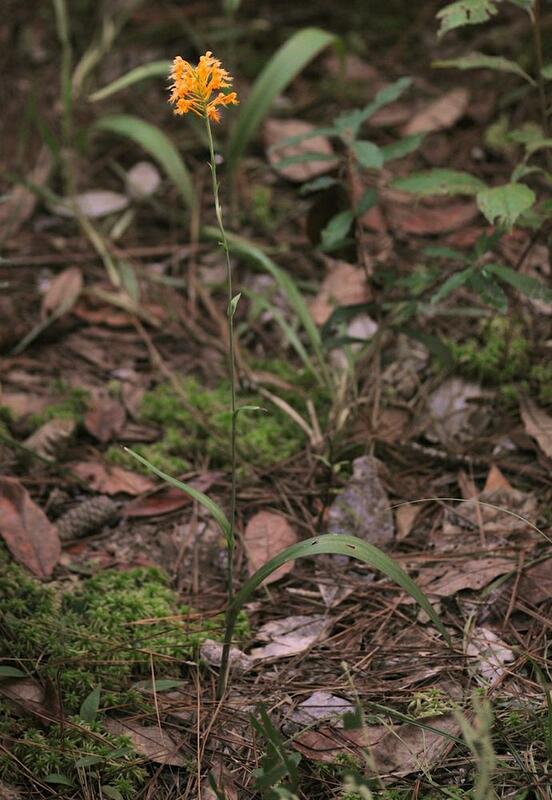 The species produces 2-4 leaves on its stem that are present at the time of flowering. 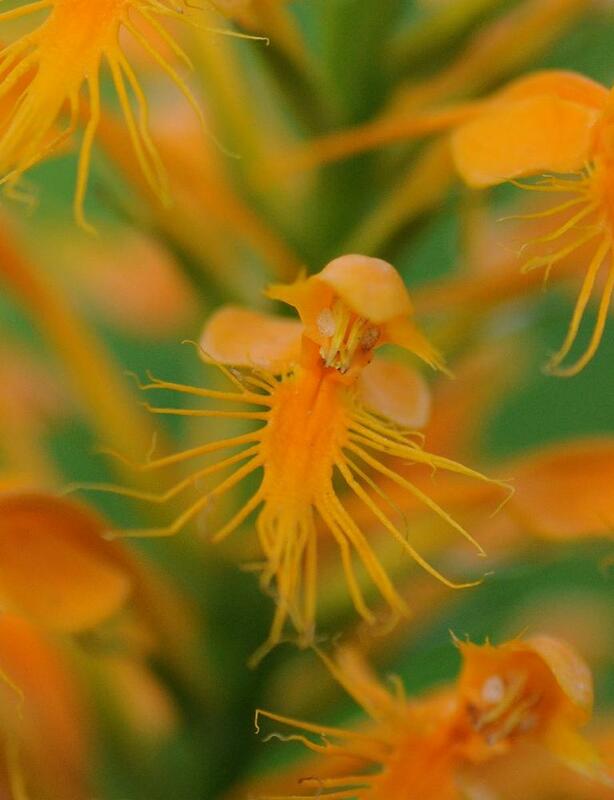 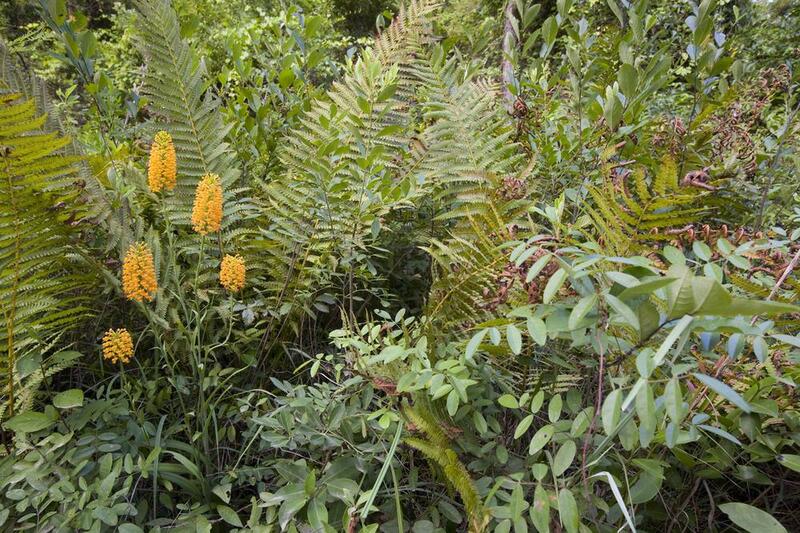 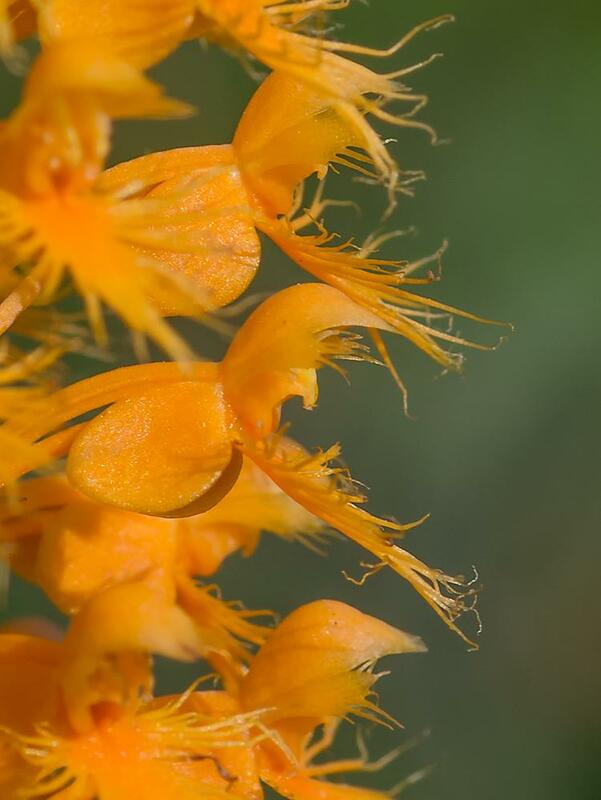 It blooms in July through September and bears an inflorescence of 30-65 bright yellow and orange flowers arranged in a dense terminal raceme. 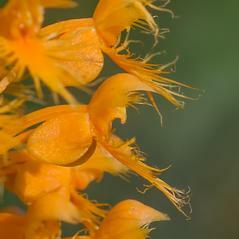 The labellum is fringed, spurred and brilliant orange. 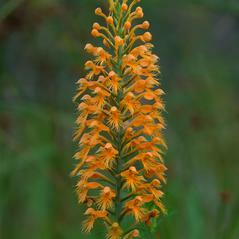 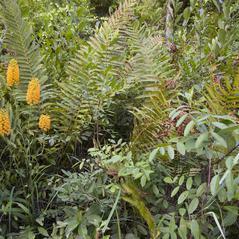 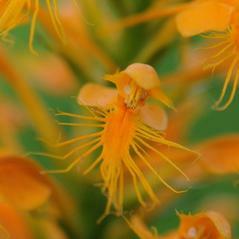 This orchid may have originated as a hybrid between Platanthera ciliaris and Platanthera cristata. 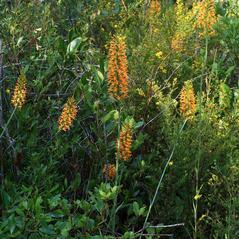 Typically populations are located in wet meadows, roadside ditches, and pine flatlands. 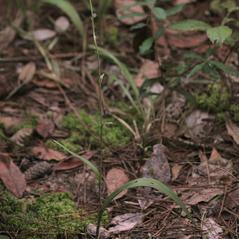 Platanthera chapmanii is considered globally imperiled and possibly extirpated in Georgia. 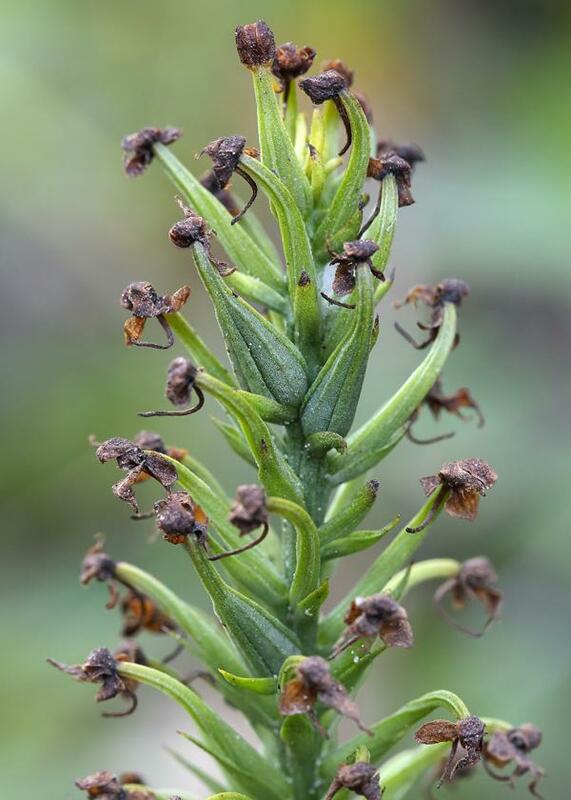 This orchid is pollinated by long-tongued butterflies that visit the flower in search of nectar, such as Eurytides marcellus, Papilio palamedes, Papilio troilus and Phoebis sennae. 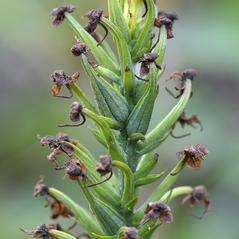 Unlike other species of Platanthera, pollinia are attached to the butterfly’s proboscis rather than its compound eyes.